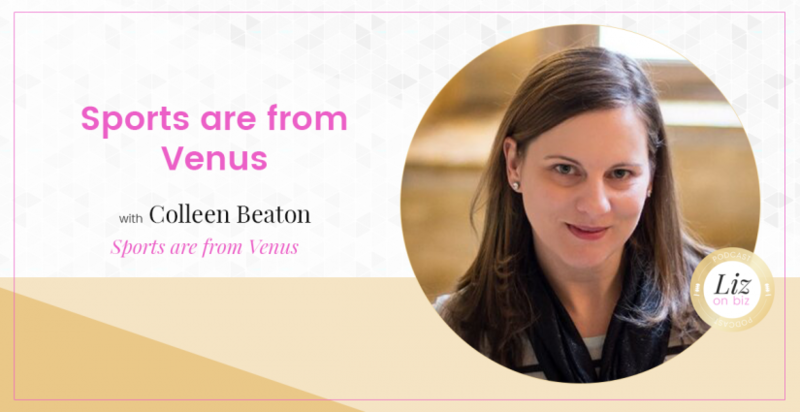 Colleen Beaton is the founder of Sports are from Venus, an online sports magazine for anyone and everyone who loves sports to talk sports without judgement. Colleen is celebrating the 1 year birthday of Sports are from Venus. Shares the story of why she created the site. What has her experience been like? What’s her readership? How has she grown? Lots of laughs: including who is texting Colleen right now, references to King of Queens (yes, the sitcom from the early 2000s), and, after listening, you’ll find out why Taylor Swift, Lebron James, and Barstool Sports will likely never sponsor the Liz on Biz podcast.